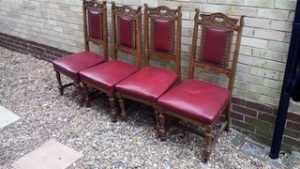 A set of four vintage mahogany high back dining chairs, upholstered to the seats and backrests in red leather. 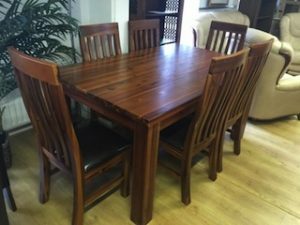 A large solid pine extendable rectangular dining table, together with six high back dining chairs, upholstered in black leather and chocolate brown suede. 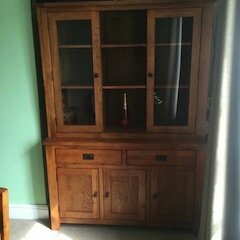 A tall standing solid wood kitchen dresser, having two glass inlaid cupboards above two drawers and three small cupboards. 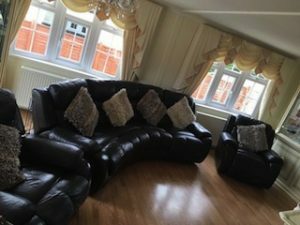 A three piece sofa suite, to include a four seater high back curved sofa and two matching armchairs, upholstered in black faux leather. 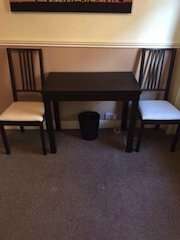 A small dark wood rectangular dining table, together with two matching high back dining chairs. 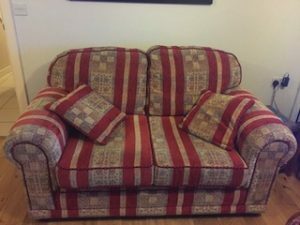 A two seater high back vintage sofa and matching cushions, upholstered in red striped patterned fabric. 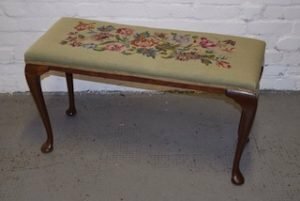 A vintage solid mahogany duet piano stool, embroidered to the top with a floral pattern. 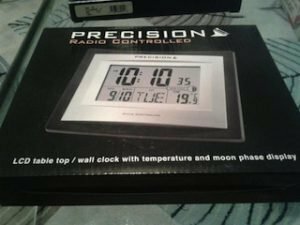 A brand new boxed black and silver Precision radio controlled LCD table top clock. 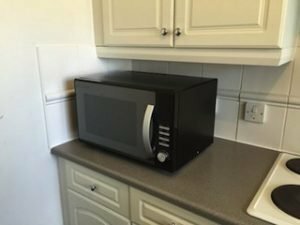 A black and grey Russell Hobbs counter top 900w microwave oven. 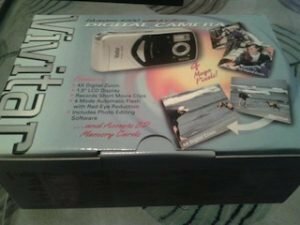 A brand new boxed silver and black Vivitar LCD display digital camera. 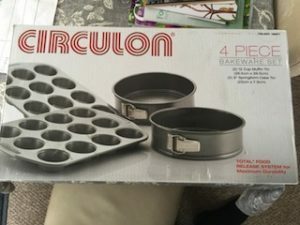 A brand new boxed Circulon four piece bakeware set, to include two muffin tins and two cake tins. 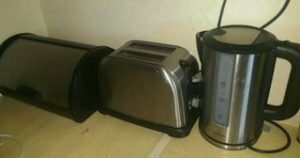 A stainless steel kitchen accessory set, to include a large bread bin, a two slice toaster and a kettle. 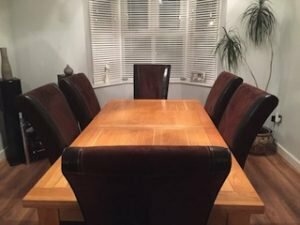 A large solid wood rectangular dining table, together with six matching high back dining chairs, upholstered to the seats in black faux leather. 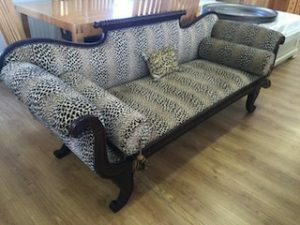 A black painted solid wood vintage style lounge sofa, upholstered in leopard printed velour. 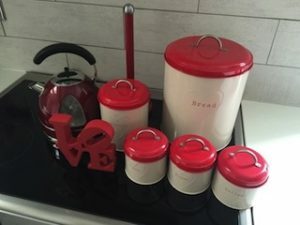 A collection of red and white kitchen accessories, to include a kettle, an ornament, a large bread bin, a biscuit tin and tea, coffee and sugar canisters. 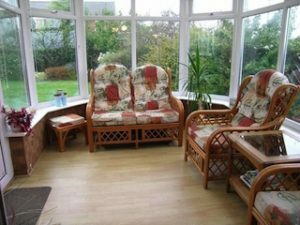 A five piece cane conservatory furniture suite, to include a two seater high back sofa, two armchairs, a footstool and a glass topped wood table. 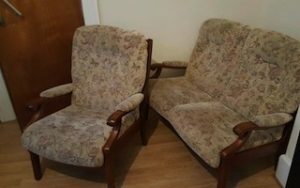 A two seater high back vintage sofa and matching armchair, on a solid wood base and upholstered in floral patterned fabric. 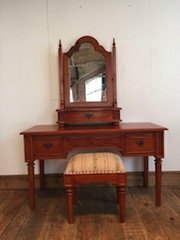 A vintage solid wood dressing table, together with a detachable swing mirror and matching footstool. 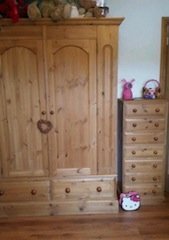 A large solid pine tripled wardrobe with two drawers to the bottom, together with a tall chest of drawers.